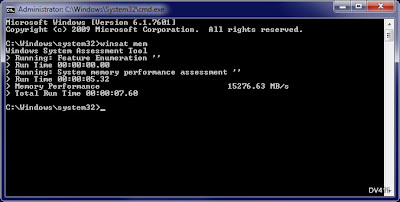 HP Z820 is roughly 80% faster in memory bandwidth (speed) vs. HP Z800, in WinSAT memory speed test. This is very significant for memory intensive applications such as video editing, encoding, etc. HP Z820 (B2C03UT, one Xeon E5-2630 CPU, 32GB DDR3-1600 RAM running at 1333MHz): 27.6GB/s. 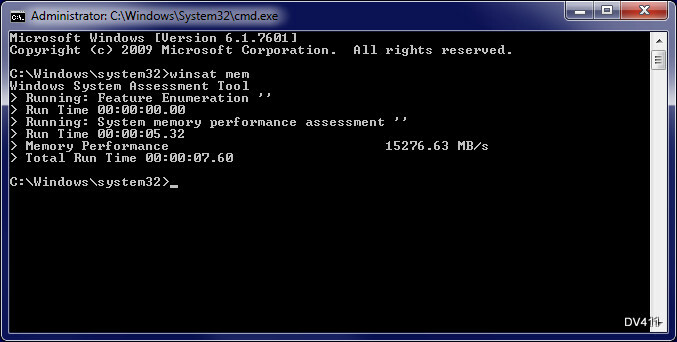 To perform the test, run "WinSAT mem" from administrative command prompt ("cmd" in administrative mode). For instructions, refer to "Quick Disk Benchmark in Windows" post on this blog. Theoretically, Z820's quad channel configuration (vs. triple-channel in Z800) accounts for a 25% increase; so does faster memory (1333MHz vs. 1066MHz). The theoretical increase should have been roughly 50% - not quite the 80% improvement we clocked. I will try to find a faster Z800 and benchmark it as well. What is the memory speed of your system?